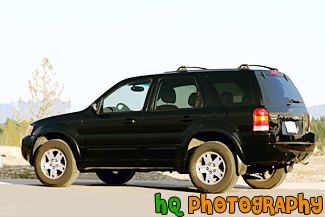 A scenic picture taken of a 2003 black Limited Edition Ford Escape sports utility vehicle. The Ford Escape is said to be the best selling small SUV on the market. This photo was taken on a sunny day.